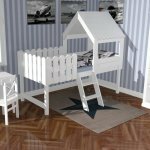 Basically we send our children's furniture and accessories for the nursery within Germany free to our end customers. 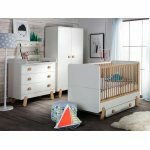 For over 10 years we produce kids furniture and lamps and have our packaging and shipping optimized so that the road to nothing more sustaining damage. All boxes are optimized for the delivery of furniture. Dealers see our shipping terms please check the relevant contracts. Shipping is as package shipping with a courier service like DHL, GLS or UPS. Larger shipments are sent via forwarding agent from a package or on a pallet. The Shipping via forwarding is always to curb. Optionally, we also supply to the home. For this, please ask before buying individually the charge for doing so. If you live in or around Hamburg, we provide normally with our own vehicles and build the furniture on to also equal with in your home. For this, we employ our own specialists. Please note that we can not supply free to all islands. Please check before buying the individual shipping costs for your island with us. These depend on the type and size of the package as well as the weight and the shipping method (courier service or forwarding).